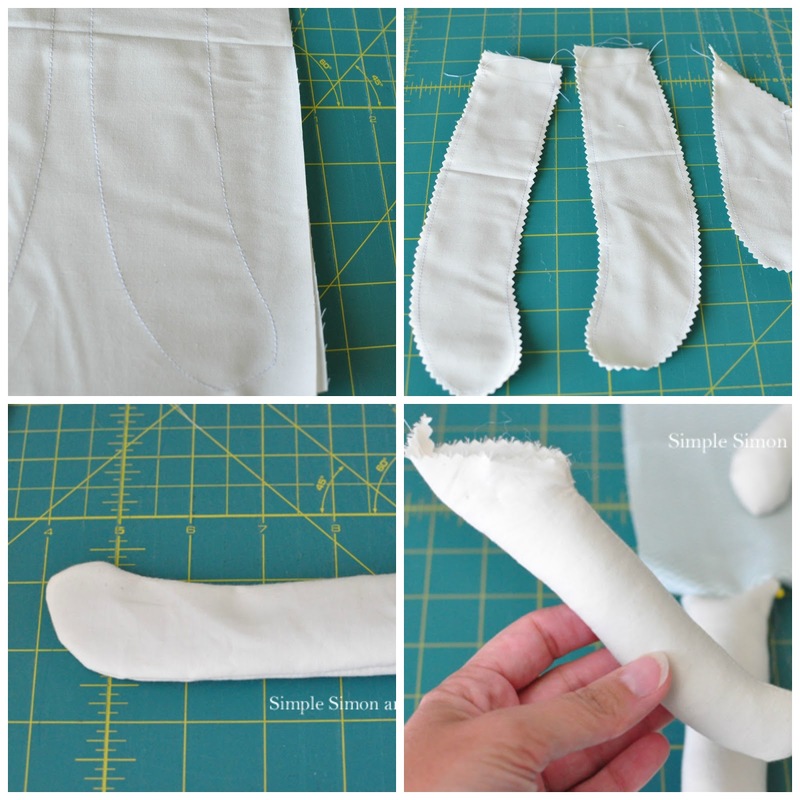 Let’s get right to our doll tutorial today…..
*fabric for the doll’s skin (face, legs, arms). I used a high-quality muslin but any broadcloth will work. The first thing you will need to do is to print out the pattern. 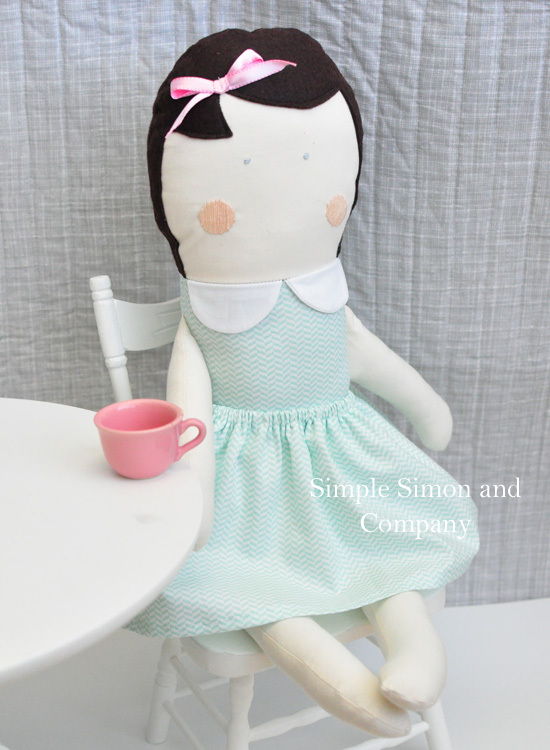 The doll pattern is found HERE. Step 1: Trace the legs and arms onto your skin fabric (do not cut….you are going to sew onto these traced lines—it is MUCH easier this way). You can cut out the rest of the doll pieces as shown on the patterns. 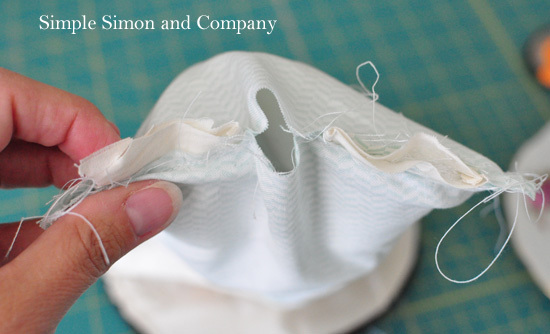 Step 2: SEW the lines you have traced, then trim around your sewn lines, leaving 1/8 inch seams. Step 3: Turn each of the arms and legs and press. Step 4: Stuff each of the arms and legs. Set aside. Step 1: Stitch right sides together for the collars. Turn and press. Stitch to one body piece. Step 2: Stitch the hair to the face front. Embellish face as you would like. 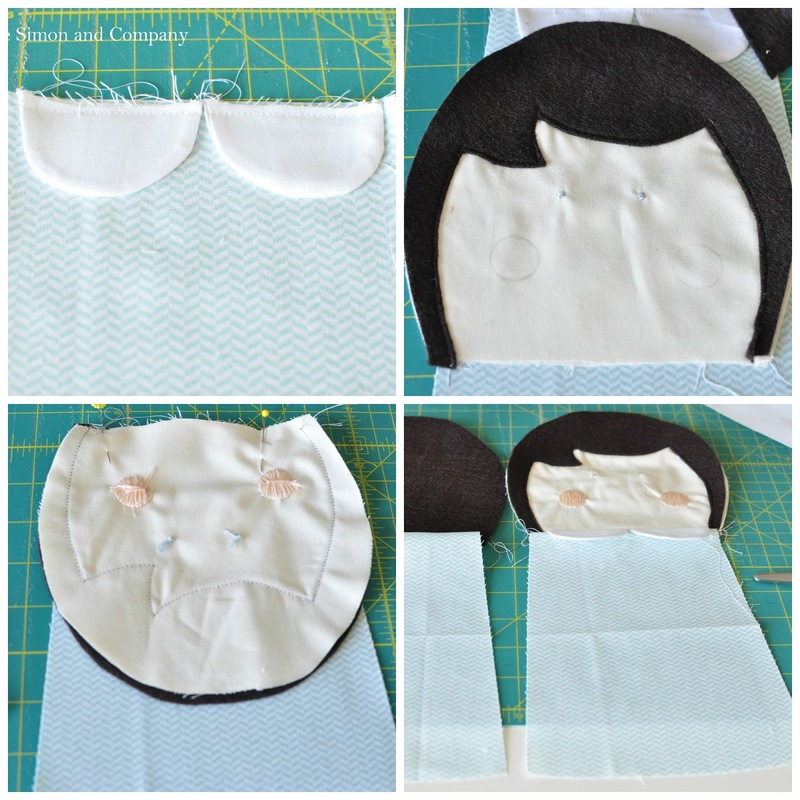 Step 3: Put right sides together of the face and the collared-body piece and stitch. Step 4: Repeat for felt hair back and back body. You will now have two body pieces with heads. 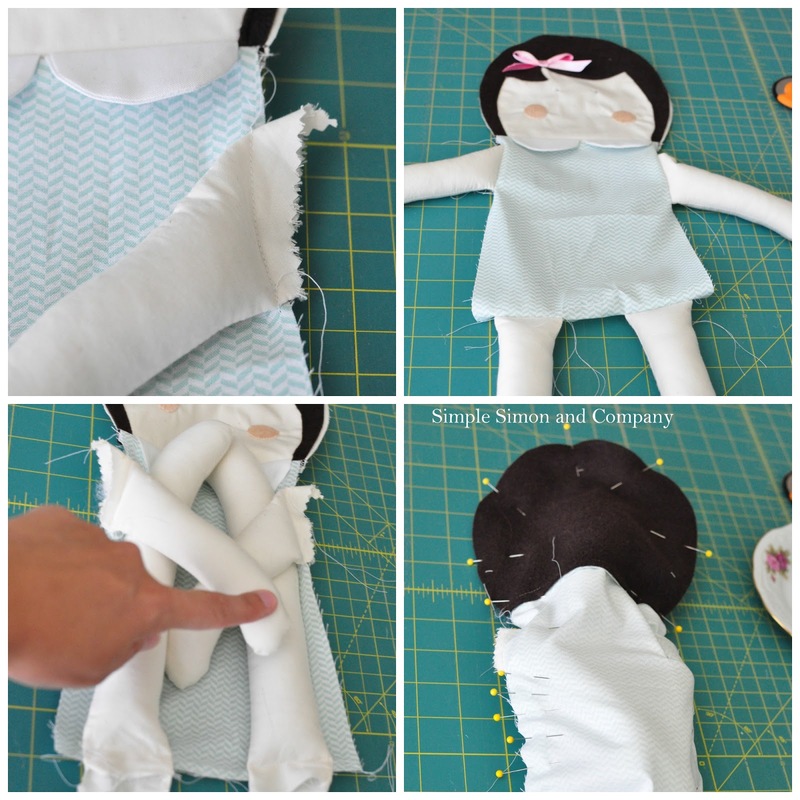 Step 1: Baste each arm and leg onto doll body front. Step 2: Your doll front will now look like this. 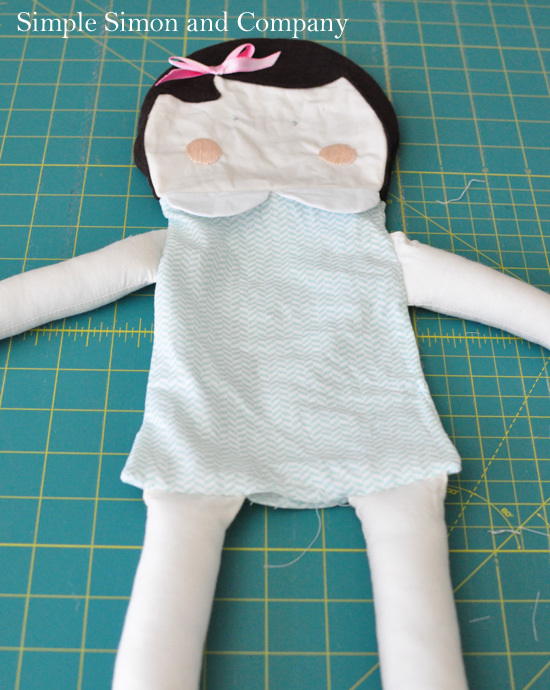 Step 3: Put arms and legs together onto doll. Step 4: Put body back onto body front and pin. Stitch, leaving an opening between dolls legs to flip doll. Pull doll through your opening. Stuff up your lovely little lady and sew up the hole. And you have yourself a cutie patootie doll!!! I did make a cute skirt to go on her, which is the exact same skirt as The Simple Skirt Tutorial. The only difference is that the casing is made for 1/4 inch elastic. 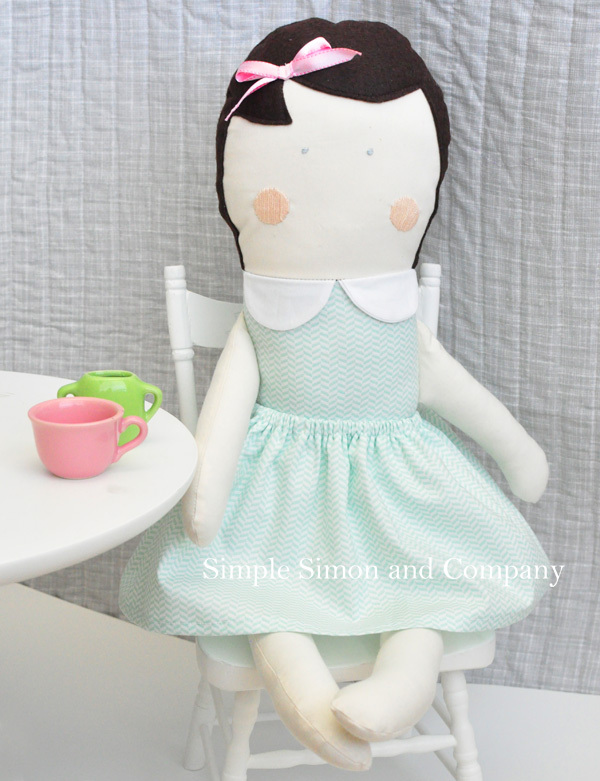 Happy Doll Making this week!!! I have about 12 more of these cut out, that Hannie and I are going to be working on. She is so excited…. Love! My daughter got her first barbie this weekend– I think this doll will be a replacement! Adorable… have a 7 week old granddaughter, and another granddaughter due in November… This will be perfect for Christmas for each of them 🙂 Will make a few for the local food pantry too, for the childrens Christmas stockings. Thank you for sharing ! adorable!! i actually used the pattern for the dolls you sent to make my girls mermaids. i will share pics once they are finished. its been a crazy summer so far! 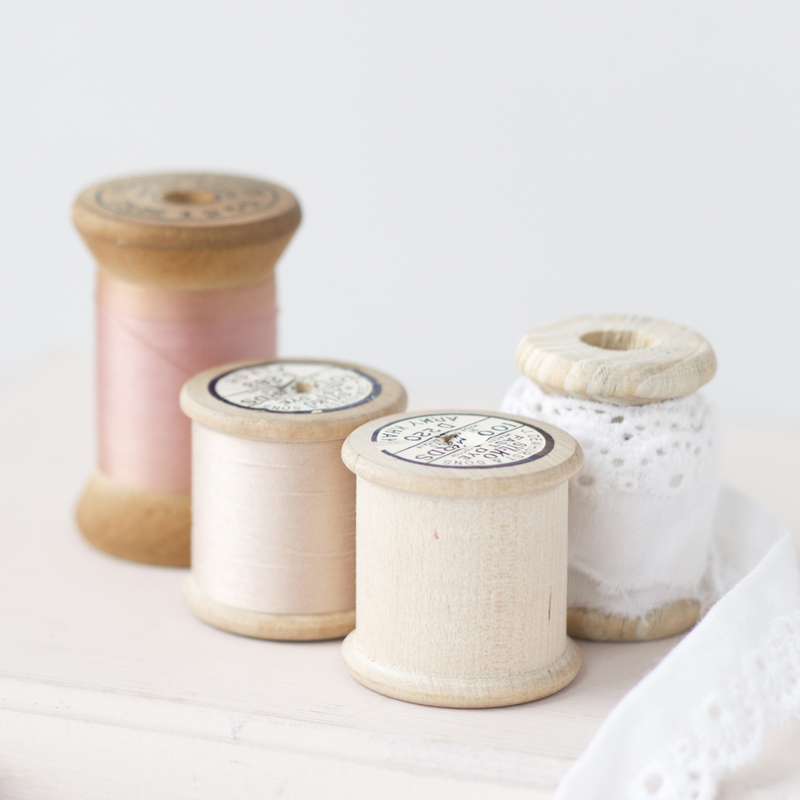 haven’t done much sewing lately. I definitely will want to try this. 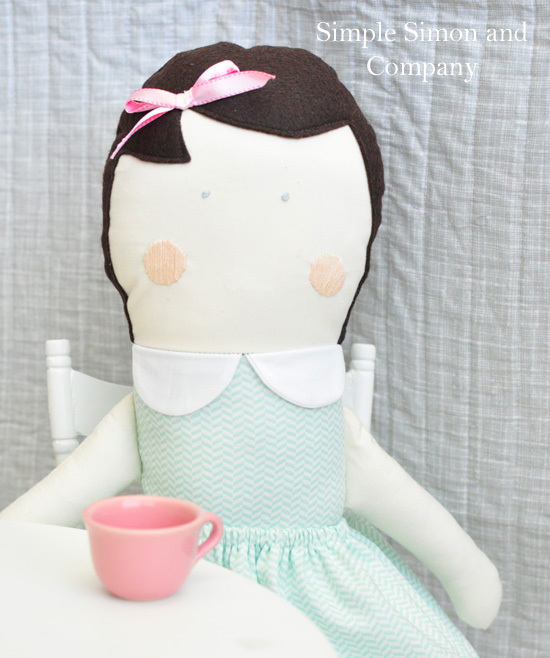 I have had several “maybe I should sew a doll” moments, but I have no finished dolls. 🙂 This will be great. Thank you! 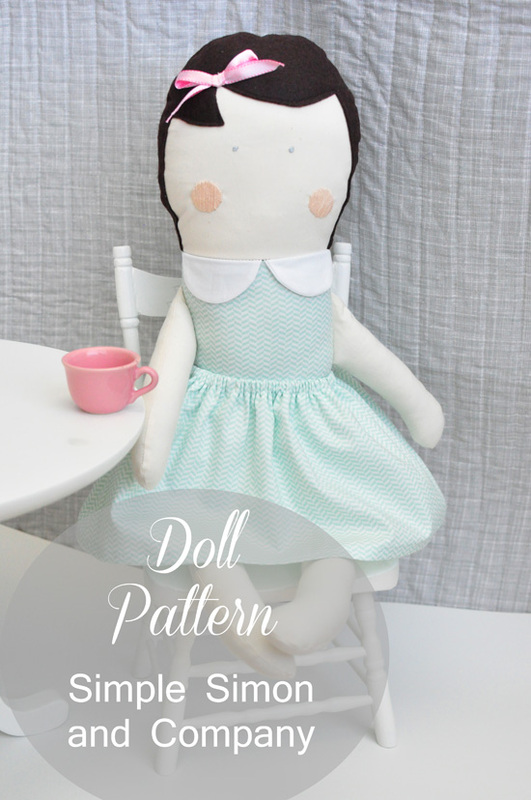 THank ou for posting this pattern for free, i made a doll yesterday with it was a lot of fun, thanks!